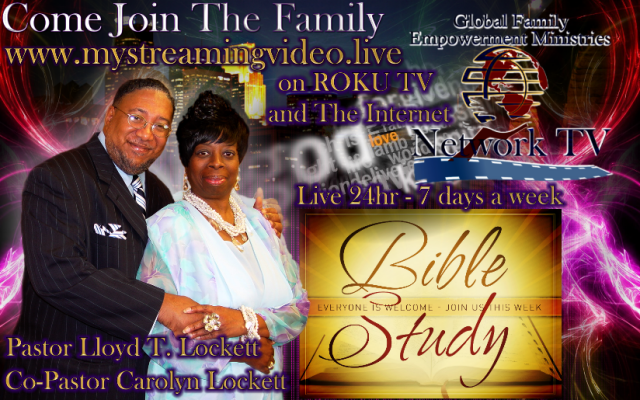 Pastor's Lloyd and Carolyn Lockett are the chief executive officers (CEO), developers and founders of multiple online companies. This outstanding anointed husband and wife team are one of Christendom's most well respected leaders in the business world as well as the church body. Because of the Lockett’s strong passion for souls they have trusted God for the kingdom building tools provided them for the purpose of seeing God’s people grow from poverty to fulfilling destiny. The Lockett’s believe that this world is full of purposeful people that need a catalyst to promote a change that will produce the affect that is necessary to start the spark that will ignite the fire. And other on going projects. A closing statement from the Locketts. designed and created for you and you alone. we will pull each other up one step at a time. Be blessed in Jesus name and pray for us as we pray for you.